This is a small bottle of super strong gel for treating the hands for manipulation. 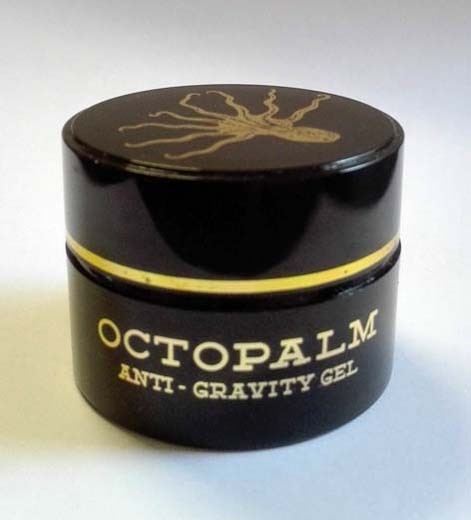 Just a dab of the gel will give an octopus grip for a secure manipulation of coins, thimbles, cards, and anything else palmable! The bottle will last for hundreds of performances.